It was the third park day of our Walt Disney World (WDW) trip. We were wandering around Fantasyland and I just had enough. I sent a text to Disney Magic Diva as I couldn’t contain it anymore. 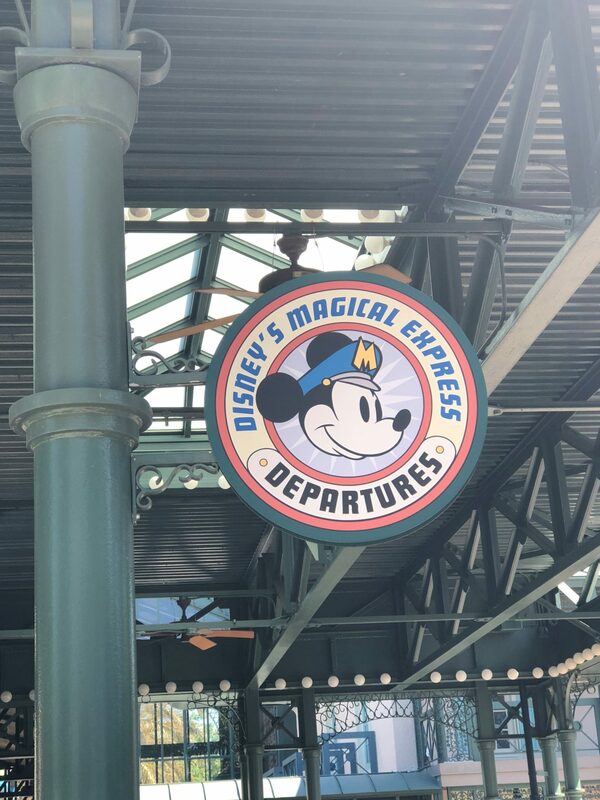 “What’s up the with lack of churro carts at the Magic Kingdom? Can’t find them at EPCOT either. Are we just missing them?”. 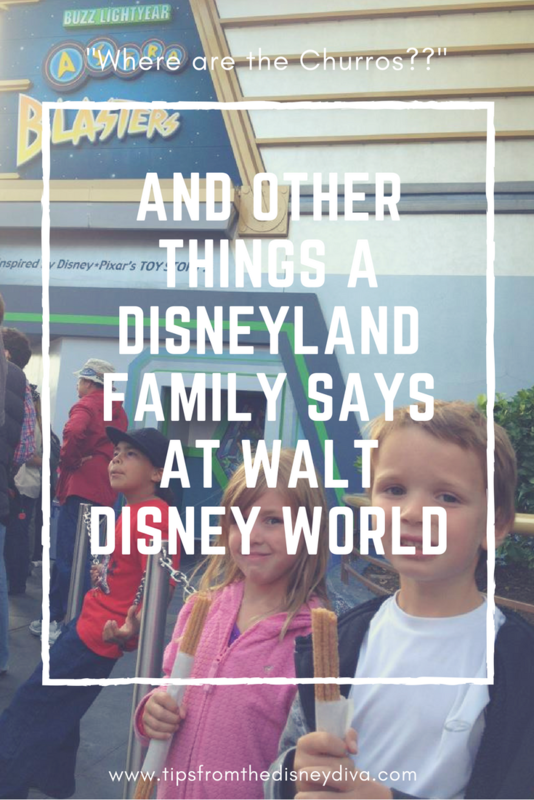 Her reply, “Yeah…churros aren’t a big deal there like they are at Disneyland.”. I was shocked. How could that be? Does no one in Florida know that a churro is a magical pastry covered in sugar and Disneyland even has them in rose gold? 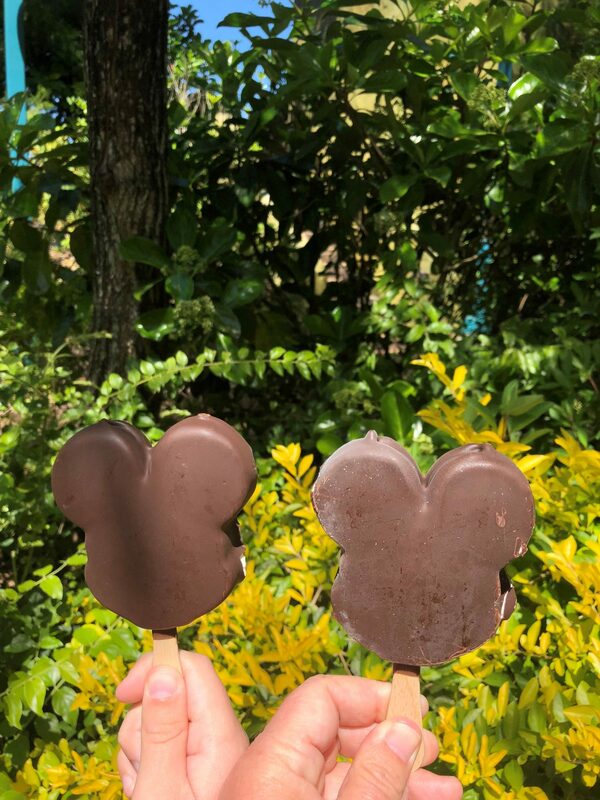 Can I have a Mickey Bar? 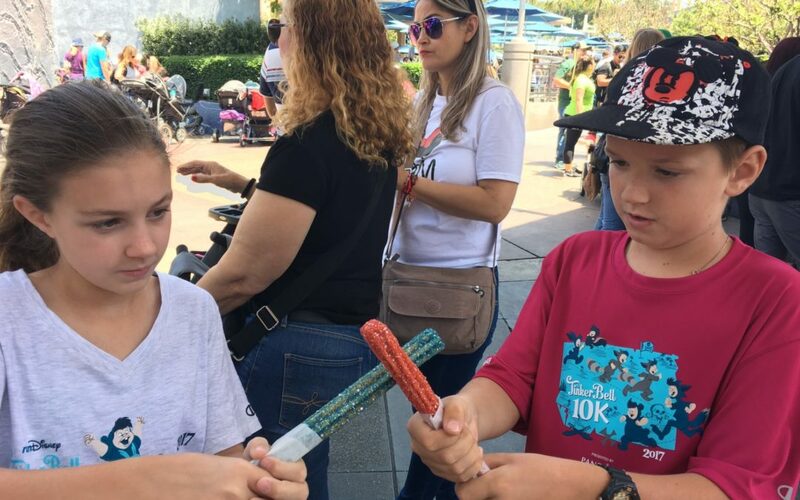 While we did eventually find a churro cart combined with a popcorn cart near Dumbo, we also found several of our other favorite treats throughout WDW. 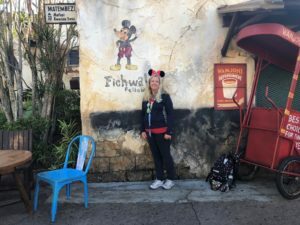 We snacked on popcorn in the refillable bucket and more Mickey Bars then I am willing to count. Mickey shaped pretzels were about as common at WDW as churros are at Disneyland. We even snacked on a Mickey Pretzel from the bar at our resort hotel pool. Oh, and I can’t forget about the Dole Whip. 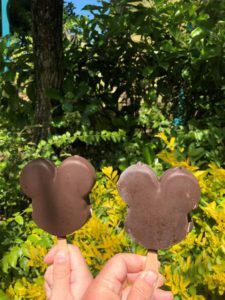 I enjoy a Disney Dole Whip, especially with dark or coconut rum from Tamu Tamu Refreshments at Animal Kingdom. 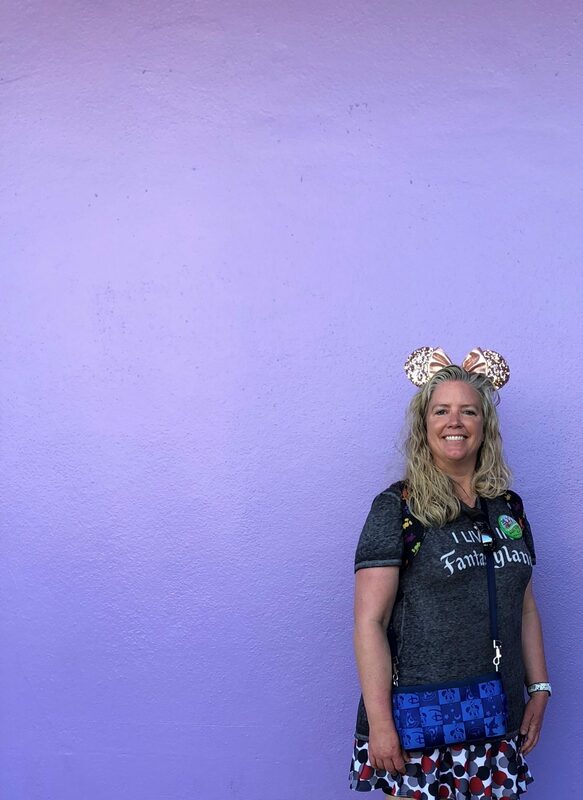 What is the Purple Wall? 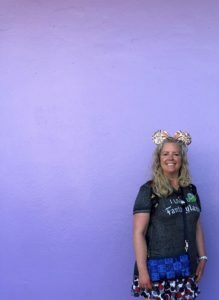 On a few social media platforms and from my fellow Divas, I learned about the Walls of Walt Disney World. I decided to see if we could find the walls and make our photos into something worthwhile posting on Instagram. We really enjoyed doing this and tracked down just about all of them. We also found Purple Wall merchandise in Magic Kingdom gift shops, including hats and shirts. 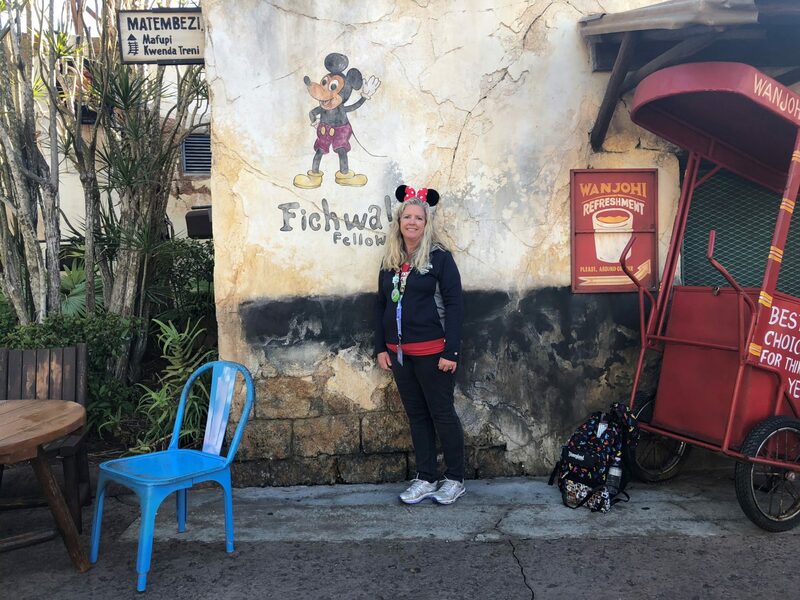 I need to see now what fun walls we can find on our next Disneyland trip. Staying on property at WDW without a car leaves a few options, with the most common being the Disney buses. 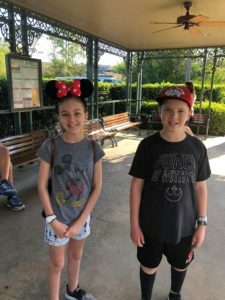 It started for us with our first bus ride from the Orlando airport to our resort and continued with multiple bus rides each day throughout our stay. Our resort bus stop had a TV screen with estimated arrival times for each bus, which helped with this question, but each trip back to our resort involved either running for our bus that was at the stop already loading passengers or waiting upwards of 25 minutes for a bus to arrive. 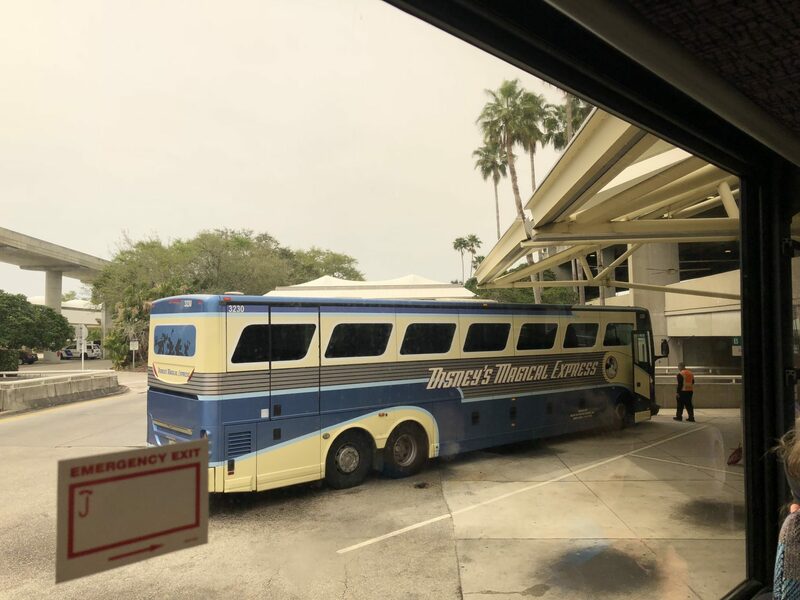 When we are at Disneyland, we park our car at our hotel and use our feet – no need to wonder about bus arrivals, but I appreciate that the WDW busses are complimentary. Can we go inside Cinderella’s Castle? If you are like me, you think the sight of Cinderella’s Castle as you startup Main Street, USA is picture perfect. 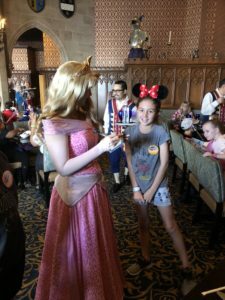 At Disneyland, we enjoy the Sleeping Beauty Castle Walkthrough and wondered what we could do inside Cinderella’s Castle. I secured lunch reservations for us to experience Cinderella’s Royal Table and see the inside of the Castle. 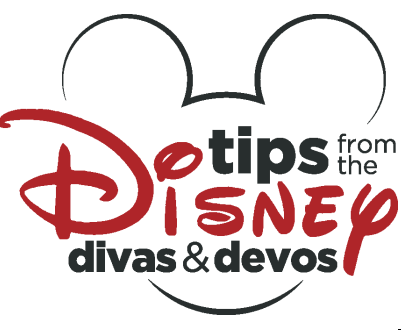 Be sure to read Pixie Hollow Diva’s review on this one-of-a-kind dining experience. 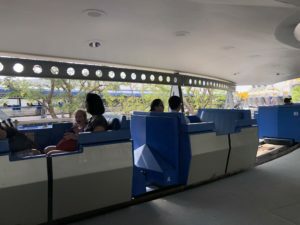 I wouldn’t say I’m bitter, but the PeopleMover was one of my favorites when I was a young one at Disneyland. I have a great memory of my teenage self and my dad riding it while screaming like we were on a rollercoaster. 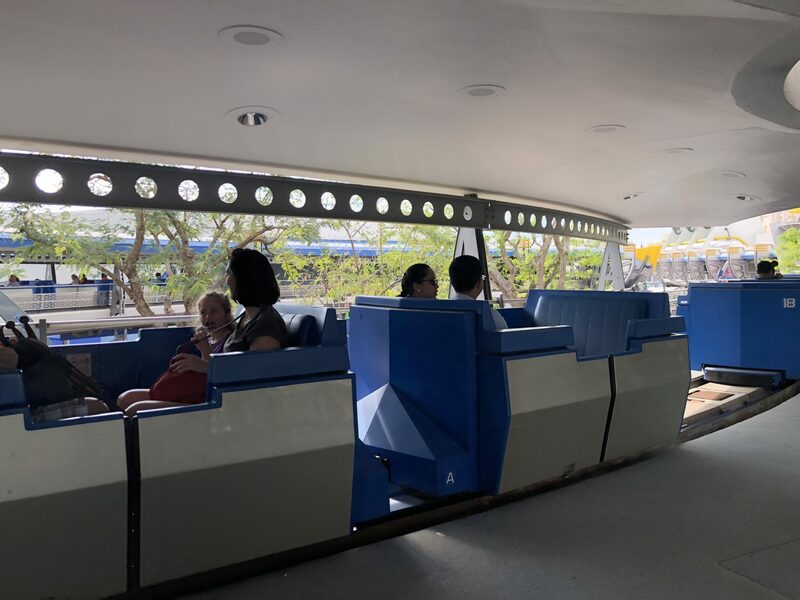 So yes, my Disneyland friends, there is a PeopleMover at the Magic Kingdom, officially called the “Tomorrowland Transit Authority PeopleMover”. It takes you on a 10-minute pleasant journey around Tomorrowland, through Space Mountain, Buzz Lightyear’s Space Ranger Spin, and shows a conceptual model of EPCOT. 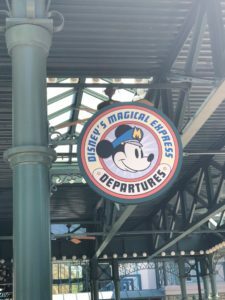 This is a must for anyone nostalgic for the pre-1995 PeopleMover of Disneyland. For anyone missing the Country Bear Jamboree, sing along to the classic hoedown in Frontierland and be sure to clap your hands and stomp your feet. Mickey might be smiling, but we were not. This is one of the saddest questions we asked over our amazing 7 nights at WDW. 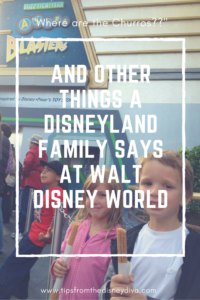 It’s a question that isn’t limited to just trips to WDW, as I’m sure you’ve asked yourself this at the end of any type of Disney vacation. Once again, we asked when our bus would arrive (the answer was too soon) as we sat with a few others on a bench to wait. While the answer to this question is never truly satisfying, Disney vacations recharge me, keep me believing in magic, and make me feel like I am that 6-year old taking her first trip to WDW who never let go of her love for Disney. Would you like to create magical memories and a list of your own questions? Patricia Payne at All For Dreams Travel can help and answer all your planning questions.